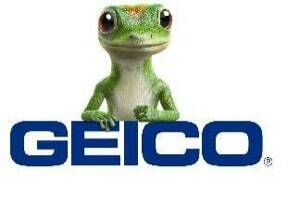 GEICO has a great deal of market share in Maryland, and our law firm deals with them regularly. Here are commonly asked questions about dealing with GEICO for settlement and otherwise in car accident claims by Miller & Zois attorney Ron Miller. Elsewhere on this site, we give you information and tactics for battling GEICO in auto tort cases to get the best possible settlement payout. I love Warren Buffett and that Gecko. They must be pretty reasonable to deal with on automobile accident claims, right? I also really like Warren Buffett. This insurer also generally has very professional adjusters, many of which are easy to like. But here is the truth: GEICO is a very difficult insurance company to deal with in accident claims, particularly before a lawsuit is filed. GEICO simply has a business model that aggressively focuses on settling claims for as little as possible. This model instructs them to try to resolve cases for far less than they are worth. Where is the adjuster handling my claim? This insurer has regional claims centers. Almost all of the Maryland claims are processed in the Fredericksburg, Virginia office. How does GEICO negotiate claims before a suit is filed? GEICO does not give its adjusters a ton of authority before a lawsuit is filed. The claims rep will make you an offer that is some percentage of the power that the adjuster has to settle the case. This next part is important. The gap between (1) the initial offer and the settlement authority and (2) the settlement authority and the real value of the case increases with the size of the case. Let's make up an example that I think is pretty true to form. If a case has a trial value of $10,000, the adjuster might offer $4,000 with the authority to go up to $5,500. But if the real value of the case is $500,000, this insurer might offer $125,000 with the authority to go to $150,000. Question: Why is GEICO's settlement offers so small? Answer: To make the obscene profits GEICO has historically generated, GEICO tries to rip off victims on the value of their claim. That may be a harsh assessment, but it is the start reality. Think about the math. GEICO spends $1 billion a year on advertising. It touts that you can save fifteen percent by spending that fifteen minutes” by switching to GEICO. The company also offers some customers "accident forgiveness" so that their insurance rates do not increase after an accident. So GEICO plays hardball before suit is filed hoping pay less than what the injury claim is truly worth. If you can rip off just 30% of the victims making claims, that is a lot of extra money for advertising and profits. What happens after I file a lawsuit? Almost invariably, the offer increases. This is true with most insurance companies but is more particularly true with GEICO. One reason for this: you get a new adjuster when a suit is filed. The new adjuster comes in and says, "Okay, the first adjuster was an idiot, let's talk about the real value of this case." All right, that is hyperbole. But it is not that far from the truth. Now this number is also usually far less than the trial or settlement value of the case. But it is almost certainly well north of the value before a suit was filed and the new adjuster came aboard. Will GEICO let my case go to trial or will they back down and settle the case before trial? How bold GEICO will be depends on what the sticking point in the case is. If the dispute is over liability -- who caused the accident -- this insurer will often stick to its guns. If the dispute is over how much money agreed upon injuries are worth, GEICO rarely lets these cases go to trial, at least in Maryland. What will happen if I get a jury verdict that exceeds the policy limits? There is no way to know. What any insurance company will do when a verdict exceeds the policy limits depends on the facts of the case. But if the plaintiff makes a settlement demand for the policy limits or less, GEICO will often stand behind its insured and pay whatever the verdict is regardless of the policy limits. The vehicles in my crash had little to no property damage. But I was hurt. My doctors are willing to testify that I was severely hurt in the crash. Will GEICO ever come to its senses? It is very unlikely. Probably more than any other insurance company out there, GEICO has an aversion to low and no property damage injury cases. So there is a high probability a case like that are going to go to trial if the victim wants to get something resembling fair value on the case. Do I need a lawyer to handle my claim or can I just do it myself? In general, you are going to be best protected by hiring counsel to represent you interests. If you are seriously injured in an accident, I think it is entirely foolish not to hire a lawyer. That said, if you have a small case, the gap between what you can get for yourself and what a lawyer can get for you is more narrow. Should you still hire a lawyer in those small injury cases? I think you should. Is it crazy to handle these cases alone without a lawyer? No. Our law firm handles serious injury motor vehicle collision cases. If you have been injured in a motor vehicle accident and want an advocate who will fight for you, call us at 800-553-8082 or get a free claim evaluation.